Welcome back to my Raw Food Weight Loss Series. If you missed part 1, check it out so you can learn more in general about this series, when I’ll be posting, and some of the topics I’m going to cover (the list is growing based on your questions in part 1). Although my plan is to post an installment to this series every other week, I was eager to dive in, so here we are! This is one of those long posts I mentioned that will happen from time to time, so you might want to whip up a tall cold green smoothie to enjoy as you make your way through it. Hello, have we met? My name is Kristen and I am addicted to dieting. Yes, I’m a diet junkie. Ahhh, I probably still am(!) but I’ve tamed the beast now that I found plant-based living. I’ve been playing with and researching nutrition, diets, food, and fitness for over 15 years. It’s always been an unhealthy obsession joyful passion of mine. Prior to discovering the plant-based way of life (and RAW for that matter), I tried any and every diet I could get my hands on. Maybe it was my desire to look like the women gracing the covers of magazines (we’ll talk about that in another post) or maybe it’s the result of growing up in a household where appearance was deemed important. Or, maybe it’s my affair with food (both my parents were/are chefs) and the emotional eating cycle that could ensue (definitely a topic for a future post). It doesn’t matter the reason for my roller coaster ride through the diet amusement park. The bottom line is that they all usually worked pretty well for weight loss. But (and it’s a big but, no pun intended), they didn’t work well for long term weight loss or for overall health(!) and vitality(!). You see, almost everyone can lose weight when they start any kind of diet because most diets involve restriction of some sort. 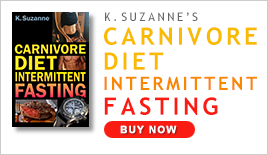 Restricting carbs… cutting out fat… eliminating this or that. Whether it’s a diet from South Beach or based on blood type, the restriction makes you lose weight. Some of the weight loss is from water loss; other times it’s because you can only eat one thing (like protein) and eventually you can’t stand another bite of it. The problem is that it’s usually unhealthy weight loss. The nutrition is lopsided and your body starts to crave the things it legitimately needs to survive, eventually making you go off the diet. That’s why such diets famously don’t last for the long-term and the weight comes back. Wouldn’t the raw food diet be classified the same way? Isn’t it just another bunch of restrictions? The “yes” part is that there are some people who lose weight with raw food and then gain it back, even if they’re still eating raw. I’ll go into specifics in a future post – but I will say this: With raw food, you’re still filling your body with health-promoting, phytonutrient-rich foods full of fiber and water, even if you haven’t yet figured out how to best make it work for your lifestyle and reaching or permanently maintaining your desired weight. If you’re looking for quick weight loss, there’s simply no healthier way to do it than with raw food. The “no” part has to do with how the raw food diet should really be categorized. You see, “diet” really has two very different meanings. Technically, whatever you eat is your diet, in the same way that the National Geographic channel says “the panda bear lives on a diet of bamboo shoots” (or whatever the hell pandas eat)… notice there was nothing in there about the panda trying to lose a few pounds or fit into a wedding dress. The other, more common, less technical use of “diet” refers, of course, to diets intended to lose weight. It’s so common that if a friend says she’s “on a diet,” we automatically assume she is trying to shed pounds. That’s an unfortunate linguistic ambiguity, because the “raw food diet” is a technically accurate term in the more important panda bear sense. Unlike a weight-loss diet, “a plant-based diet comprised of little or no cooked food” is a completely sustainable way of eating… for the rest of your life, long after you’ve reached your target weight. For this reason, many people refer to this way of eating as the raw food lifestyle. As in, the style in which you live your life. Built into this deliberate word choice is the idea that you do not do it just for two weeks because your high school graduation is looming, but rather, for years and years. It also means that, when done correctly, the weight stays off. Forever. As for restrictions, yes, absolutely, you are restricting things from your diet. You’re restricting basically everything that’s bad: cholesterol, large amounts of fat, nutrient-poor starches, toxic chemicals, and so on. You’re left with four things — nutrients, fiber, water, and calories — in the ratios that your body was actually designed to work with. There is nothing missing that you need and an abundance of all the stuff that makes you healthy. With the raw food lifestyle, reaching your desired weight is really just the first step. Fully embracing the lifestyle goes way beyond the food you put in your mouth. This often happens as an unforced, natural byproduct of the life transformation. For most people who start eating a diet high in raw food, life takes on new meaning, a deeper and more contemplative perspective on one’s place in the world. Other things change in their lives, such as purchases that extend beyond food, including consumption habits that are more sensible, environmentally sustainable, animal friendly, as well as this hard-to-convey connection to the world around you. At the risk of sounding too out-there, groovy man, hippy-dippy, I won’t belabor the point; what I want you to take home is that you’re not just eating raw food and losing weight. This food actually does something more for you… The raw food lifestyle is going to change your outlook on life, improve your mood, and that is not only empowering, but it also moves you closer to your goals (weight loss and other life goals) in a more effortless way. It’s like your true, biological and spiritual self is being pulled as though by gravity to its primal, natural, original state… to a time a thousand generations before we got stuck in the machine of our own invention that is modern industrial-scale agriculture and an economy that foolishly depends on completely unsustainable hyper-consumption (WTF?). Crazy as it sounds, in this way, going raw actually makes you better at making decisions (sometimes without realizing it!) that support your personal vision. And that, my friends, will help you achieve your health goals, almost as an after-thought. As I mentioned in part 1 of my series, I’m not going to write a specific diet regimen for you to follow. It wouldn’t make sense because there are so many variables that play a role in weight loss. We are all different in our ages, genetics (which don’t play a big role for most people, but there are exceptions), environments, toxicity levels, what we’re eating, nutrient levels, fitness levels, amount of lean mass, injuries, stress levels, what’s going on in one person’s life vs another (for example, if you’re pregnant, or breastfeeding like I am), and many more! You can’t follow what one person does and expect the same results. It just doesn’t work that way. There are some common truths that we’ll talk about when I write about calories, for example, but it’s not all black and white. 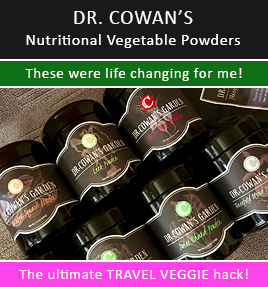 That said, we will consider all of these variables and it will be up to you to experiment, see what works best for you, and then weave your Raw Food Weight Loss blanket from all of the different threads and yarns I offer. Believe me, we are going to cover a lot! And if something doesn’t work for you initially, that doesn’t mean it won’t work in the future, so don’t give up on a certain tactic (instead, table it and come back to it later). For some people, weight loss success is all about calories in/calories out; for others, it’s about motivation, emotion, tactics for dealing with internal conflict (I’m lookin’ at you, cravings!) and success comes from the cumulative effect of many small ideas. This series will help you figure it out. While most experts suggest a weight loss rate of 1 to 2 pounds per week, I’m of the opinion that you can do more, if you want. While it’s true that 1 to 2 pounds of weight loss is solid, noteworthy, and pretty easy, it’s about as exciting as knitting cat toys. No ma’am, we’re aiming for some rapid, hot, sexilicious bikini results! But there are ways to do this right so that you’re not starving your body and falling victim to yo-yo-ing on the scale. If you want an easier, gentler approach to weight loss, no problem… a pound a week is great and you’ll have fun. But if you’re eager to shed more, then bring your A-game, ladies (and guys, too, except the bikini part)… and be ready to work extra hard. Trust me, it can be done, and you’re going to love it! Feared by many, the dreaded bathroom scale is actually a useful tool if used correctly. It definitely has a role in your weight loss strategy. The trick: Only use it to measure your weight loss weekly. That means once a week! Pick one day (and time of day) during the week as your official weigh-in day (typically first thing in the morning of your weigh-in day is the smartest time). Chart it and track it. Monitoring your progress is crucial to succeeding, but using the scale is only optimal when you’re doing it weekly. If you weigh yourself daily you can easily become discouraged and confused when the scale doesn’t match your perceived efforts. Daily ups and downs in weight are completely normal and usually the result of how much water your body is holding. These fluctuations are noise, nothing more, and if you measure them, you’ll read too much into it and risk blowing the whole program by shifting away from a strategy that’s working. With that caveat in mind, the scale is your friend. Tracking progress is what keeps moving us in the right direction. It helps us find out what we’re doing right vs what we should change. There are various ways to track progress such as scale weight (although keep in mind that as you gain lean muscle mass if you work out, the scale changes a bit), measurements of arms, waist, or thighs, or size of clothing, or body fat levels using various methods, or simply looking in the mirror. All are good, but I find that using the scale for weekly weighing is the easiest. But that’s not all I want you to monitor… mood checks are also important! Unlike weigh-ins on the scale, there are some things we’re going to track daily. I highly recommend getting a journal and tracking your daily mood – especially centered around when you eat. I want you to write down how you feel day to day as you eat your way to a healthier you. Personally, when I polish off a green juice to start my day or dive into a bowl of fresh, locally grown organic watermelon, I feel on top of the world, light, and full of energy. THAT is noteworthy and needs to be remembered. Feelings like this are too often fleeting and you want them to last. The way to do this is to write it down. It doesn’t have to be lengthy or become a thesis… it’s just a few notes. The other bonus of this is that it’ll enable you to find the foods that work best for you (another key to making your way to your ideal weight). You’ll quickly learn what foods empower you, which ones make you want to get up and exercise, which ones make you a little lethargic, and even which ones you might be allergic to. I’ll be talking about his more in a future post, but go ahead and start journaling at least 1 sentence per day about your mood and things that seemed to affect it, both positive and negative. We still have so much more to cover! Are you excited? !… I am! The ideas I present can work for you, but don’t expect to get great results if you do things half-assed. My reason for posting the Raw Food Weight Loss Series every other Friday is to give you time to try some of the suggestions and even start making them habits before continuing to the next strategy. Too often in weight loss books, authors give suggestions, but most people make a mental note about them and then eagerly move on to the next chapter… with the intent on practicing the tips, but in reality it doesn’t happen because they get overwhelmed at everything they need to do and that they need to remember. The result? An unsurprising fail. So, because we’re only covering the topic every other friday (with promised bonus posts on some of the open Fridays), you have plenty of time to digest one idea at a time, put it into practice, and start to see if it’s working for you. This series will be ongoing for many months; if you’re serious about losing weight, then I’m in it for the long haul if you are! How the raw diet (lifestyle!) is more than just the food you eat. How is it connecting you in other ways to the world around you? Give this some thought. Talk to other like-minded people about it (if you have any in your life), journal, and write in the comments section, below. Start monitoring your weight weekly. Pick a day. Like Saturday first thing in the morning. Put it in your calendar. Don’t peek on other days. EVER. Definitely monitor your mood via a journal… in fact, I’d love to read them! So, if you want someone to share it with, please email them to me. And, as always, if you have questions and comments about today’s post, let’s chat about it via the comment section below. If you have ideas that you want me to cover in future posts, please leave those comments in this post here.